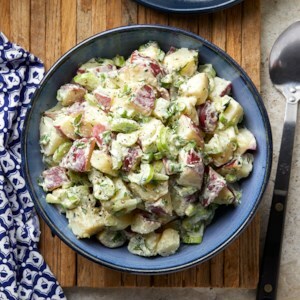 Find healthy, delicious low-calorie potato recipes, from the food and nutrition experts at EatingWell. 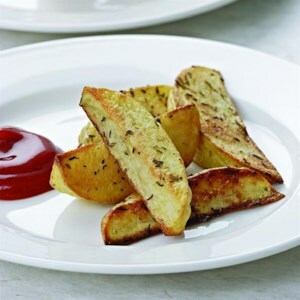 There's no shortage of seasoning on these wedge-cut steak fries--they're coated in a generous amount of rosemary, thyme, salt and pepper. 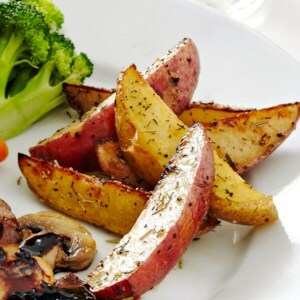 Yukon gold potatoes are a great choice for slimming down this baked potato recipe. 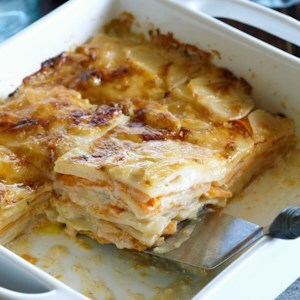 With their buttery-gold color and rich flavor, you won't need to use much fat to make them look and taste luscious. 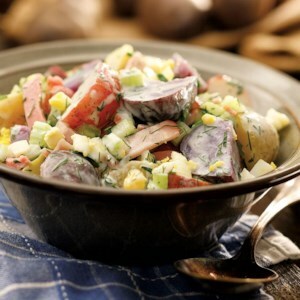 These potatoes are an easy and obvious choice when you've already got something on the grill. 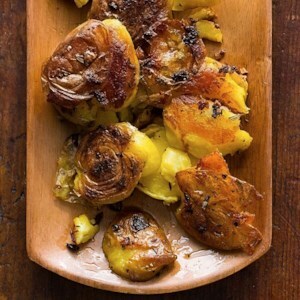 Flavored with olive oil, salt and pepper, they're grilled to perfection in under 10 minutes. 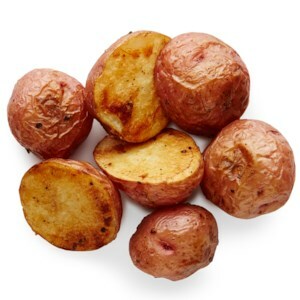 This easy side dish of roasted red potatoes has a simple flavoring of olive oil, salt, and pepper. 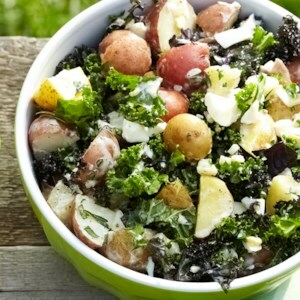 This tangy potato and kale side dish is served warm. 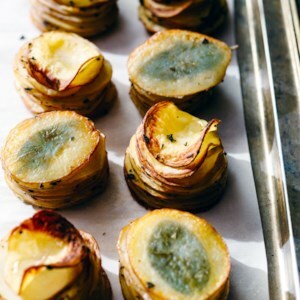 These little cute stacks are everything you want in a potato side dish: tender in the middle, devilishly crispy on the outside, and seasoned with sage and butter throughout. 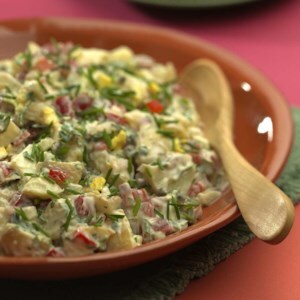 For best results, use a mandoline to slice the potatoes extra-thin. 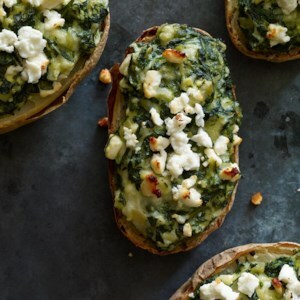 In this healthy take on twice-baked potatoes, spinach, feta, garlic and oregano are stuffed into the potato shells along with the mashed potatoes. 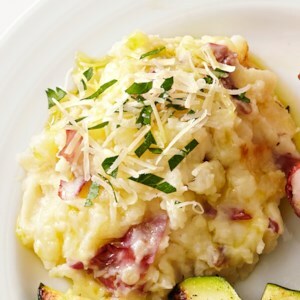 Serve with steak or chicken sprinkled with oregano or marjoram. Coated with olive oil and baked in a hot oven, these fries are soft and buttery inside and crisp on the outside--the perfect combination. 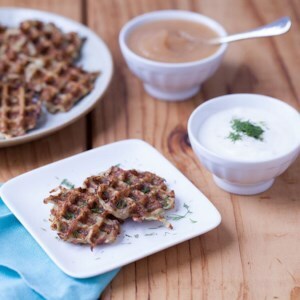 Skip the greasy mess with this healthy latke recipe by "frying" your potato pancakes in a waffle iron instead. 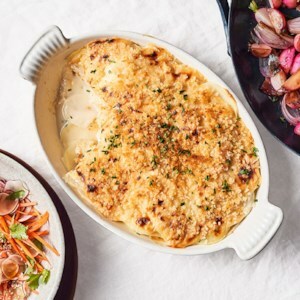 Serve with sour cream and applesauce for dipping. 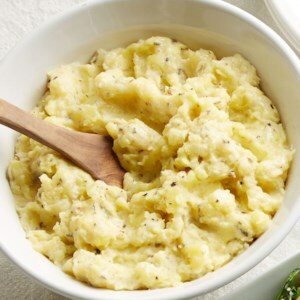 Roasting garlic and thyme in olive oil infuses them with a heady flavor that makes a luxurious addition to these mashed potatoes. 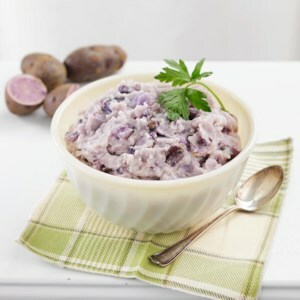 Purple potatoes make a delightful lavender mash, but you can use white potatoes if you prefer. 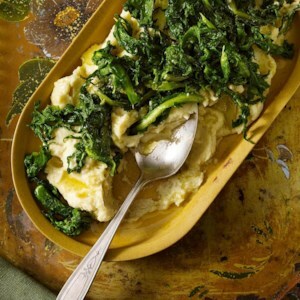 This simple fava bean puree paired with cooked chicory, a bitter green in the same family as escarole, is seasoned solely with olive oil and salt--an easy appetizer or side dish for any Italian-theme meal. 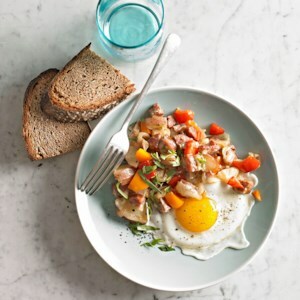 If you have a special olive oil in your pantry, this is the time to use it. 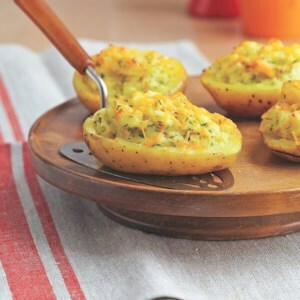 A combination of baked, mashed and roasted, these crusty, garlicky smashed potatoes are a healthy and creative alternative. 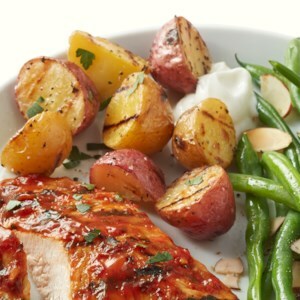 Serve alongside a seared steak or roasted pork tenderloin and green beans.